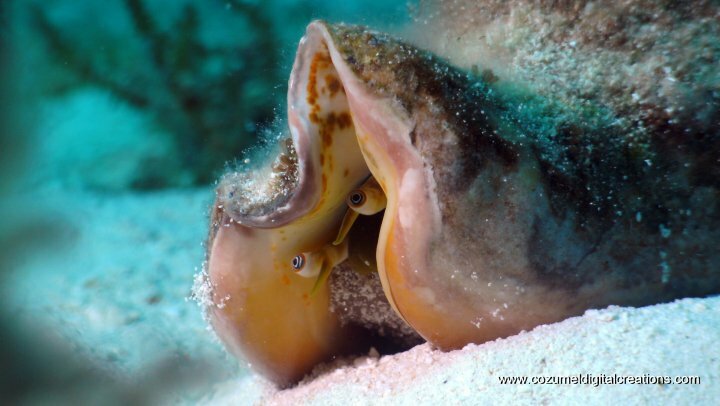 Cozumel is recognized as one of the top diving areas in the world, offering miles of coral reefs that are ideal for snorkeling and divers from novices to the most advanced. 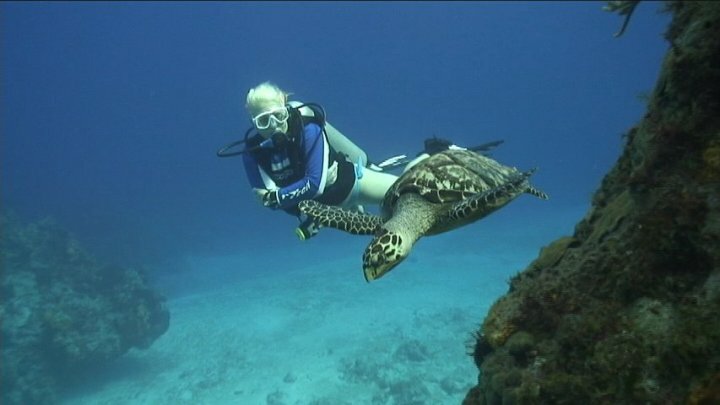 It has breathtaking drop-offs for the experienced diver. 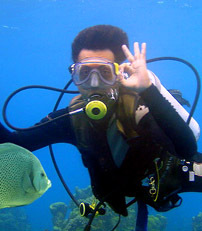 Diving is best in summer when visibility often exceeds 200 feet. 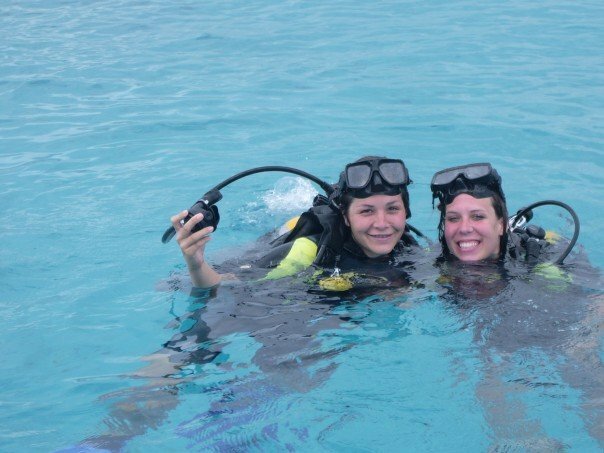 While diving is suggested for the qualified, snorkeling is recommended for everyone who can swim. Paraiso Reef North: There are a series of three inshore reefs which lie just north of the International Pier and run parallel to the shore. 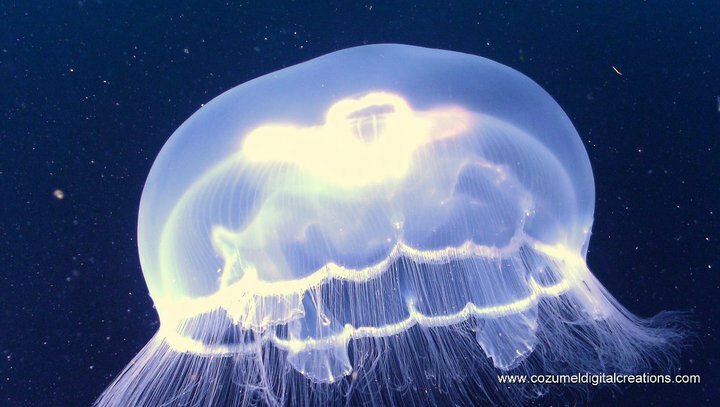 They are approximately 200 yards off the beach and can be reached either by boat or by swimming from the shore. Diving depths range from 30 to 50 feet and these lovely reefs are loaded with star corals, brain corals, gorgonians, seafans, sponges, and myriad fish. Plane Wreck: Located 100 yards directly out from the La Ceiba Hotel Pier is a 40-passenger Convair airliner lying upside down on a white sand bottom. You can see the entire plane from the surface. The wreck is situated at the north of the Paraiso Reef formations. Be careful not to get snagged in one of the several ropes and lines attached to the plane. 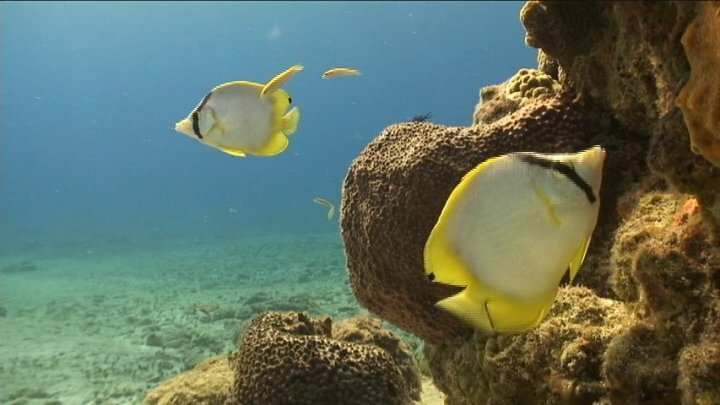 Chankanaab Reef: Several hundred yards offshore and slightly south of Chankanaab Lagoon lies a medium-depth reef sometimes called Outer Chankanaab. Diving depths at this site range from 25 to 55 feet. 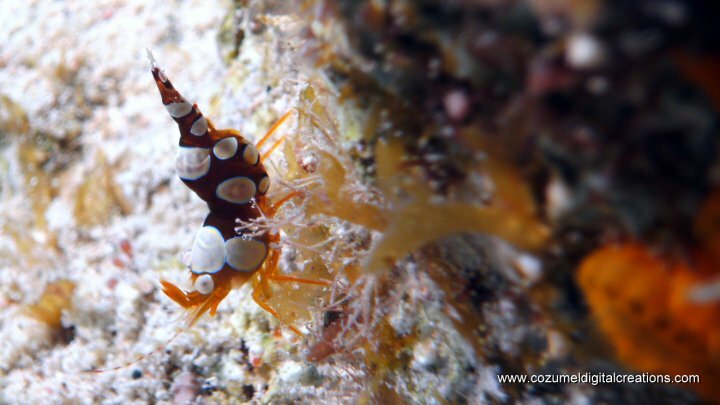 The coral formations and marine life are similar to Paraiso reef and this spot is considered to be an excellent location for night diving. 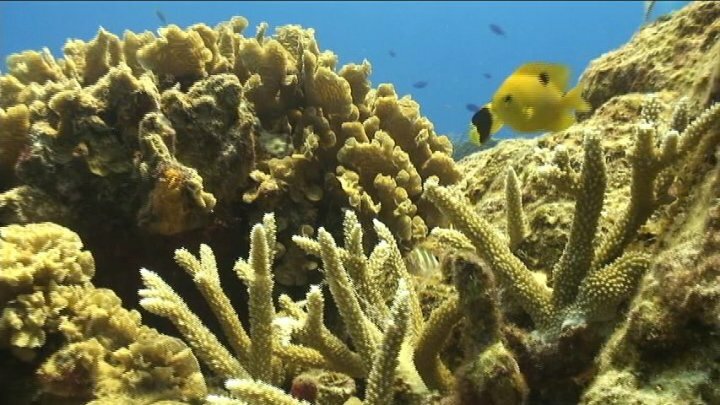 San Francisco Reef: Located directly out from San Francisco Beach is a quarter-mile-long coral reef which runs parallel to shore. It is a good half mile out and does require the use of a dive boat. 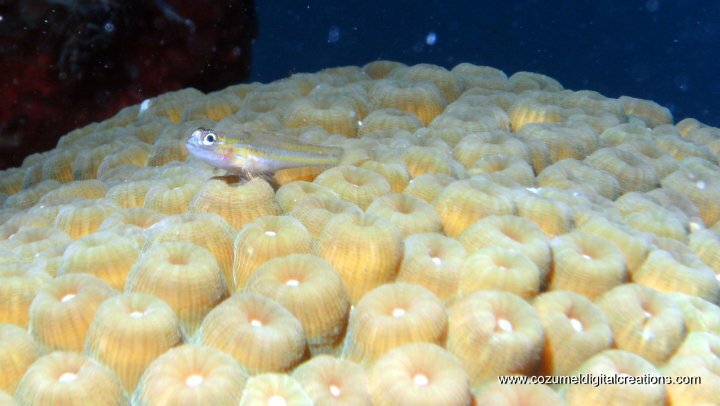 Palancar Reef: The reef most identified with Cozumel is actually a conglomeration of many different coral formations stretching for a distance of three miles. It's renowned for its towering buttresses. 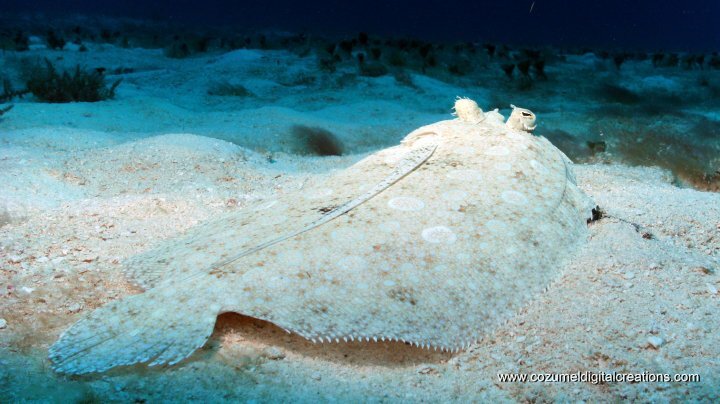 It lies about a mile offshore and has such a variety of profiles that it defies description. The north end of Palancar is generally shallow with the tip of the wall starting at 50 feet. The face of the wall is more of a slope. 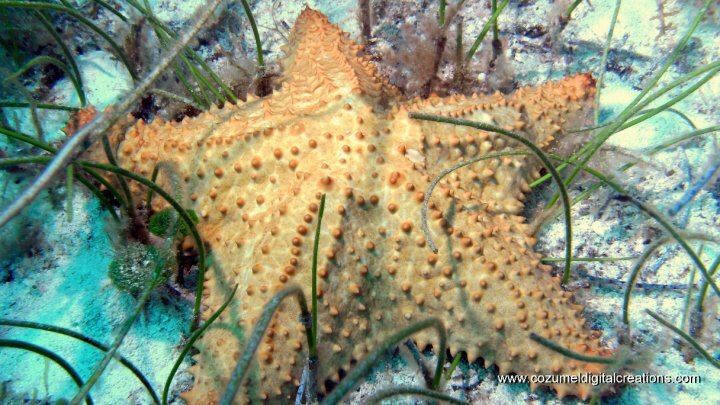 Excellent areas for diving include The Horseshoe and Palancar Gardens. Local divers have recently installed a large religious statue on the bottom of Palancar. 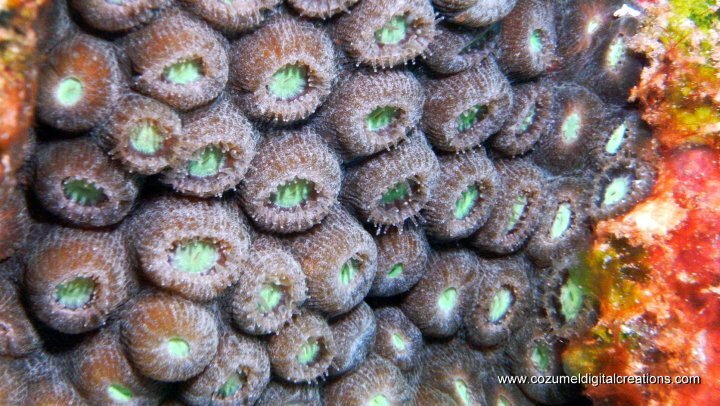 To really see Palancar, you'll need to take many, many dives there. You'll really enjoy it. 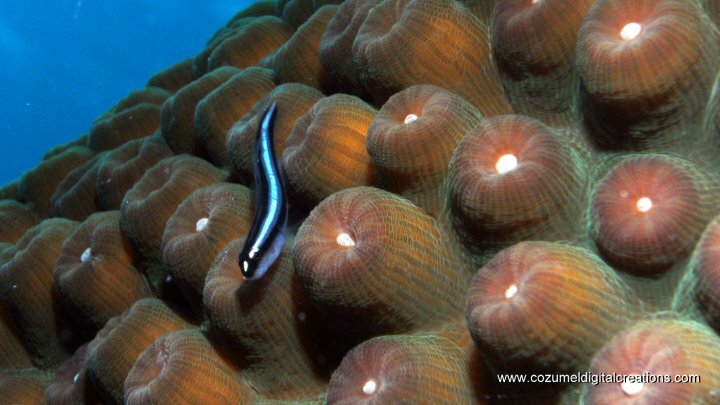 Colombia Reef: It's one of the great coral buttress areas located along the lip of the dropoff toward the southern end of the island. There are canyons, deep ravines, huge overhangs, and tall pinnacles. 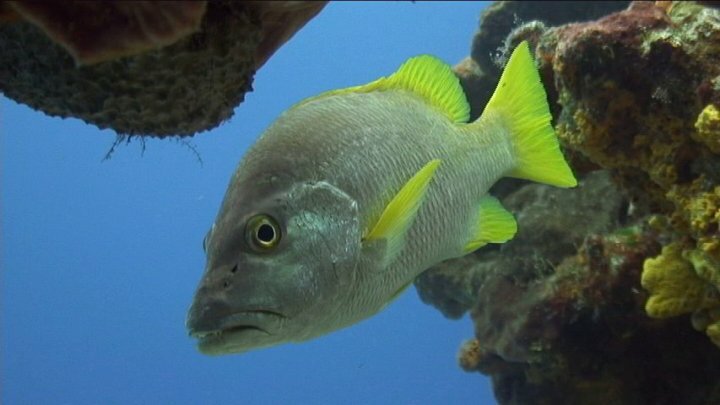 Many creatures, especially the larger ones such as sea turtles, groupers, and big jacks are often seen. The three-dimensional relief of Colombia is second to none in the world. 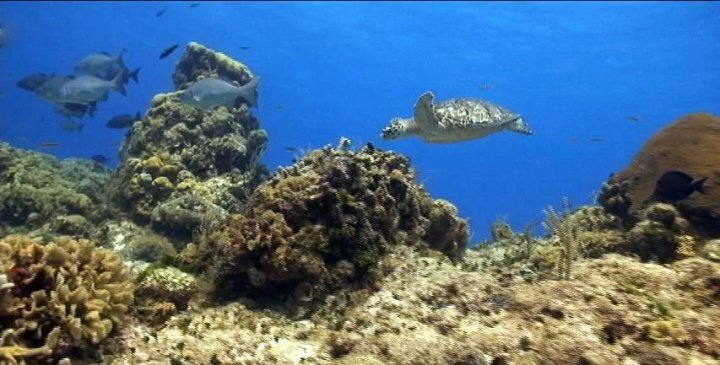 Maracaibo Reef: Situated off the southern tip of Cozumel, Maracaibo Reef is considered Cozumel's most challenging and most exciting reef. Strong currents on the surface make this a drift dive. Santa Rosa Wall: Regarded as the second-most popular reef, the wall has a drop-off that begins at 70 feet and drops straight away into the abyss. 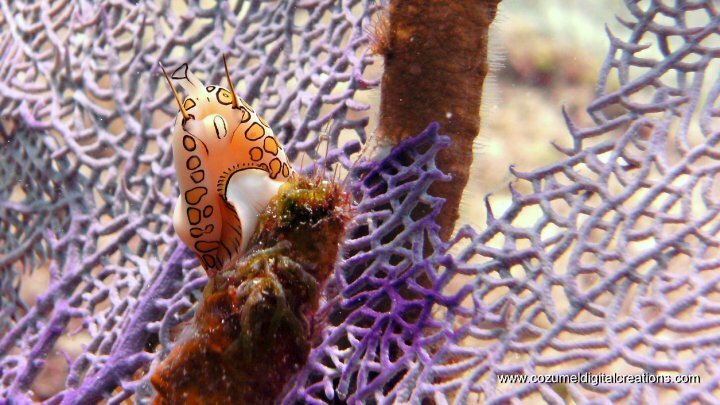 There are huge overhangs of stony corals along the top of the reef which are beautifully decorated with translucent vase sponges, elegant tube sponges, and other types of colorful sponge growth. 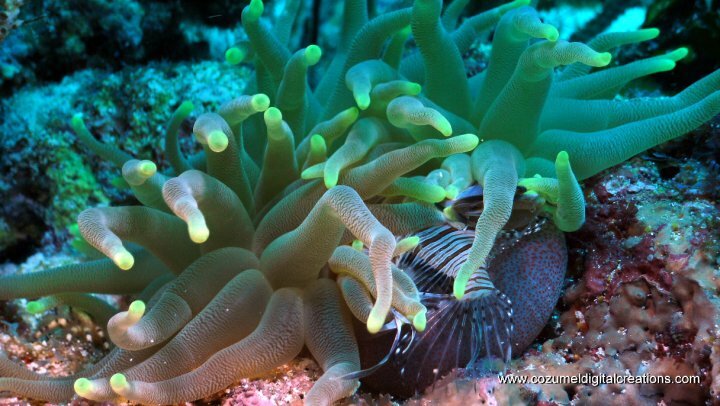 There are many additional reefs that will prove fascinating to you. 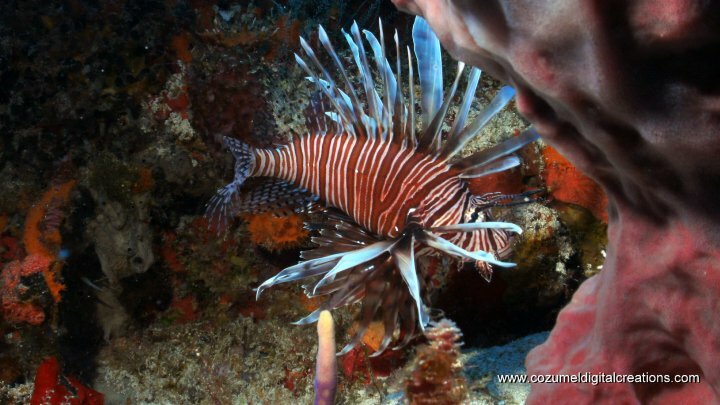 All are considered excellent dive sites by Caribbean standards (which are among the highest in the world). 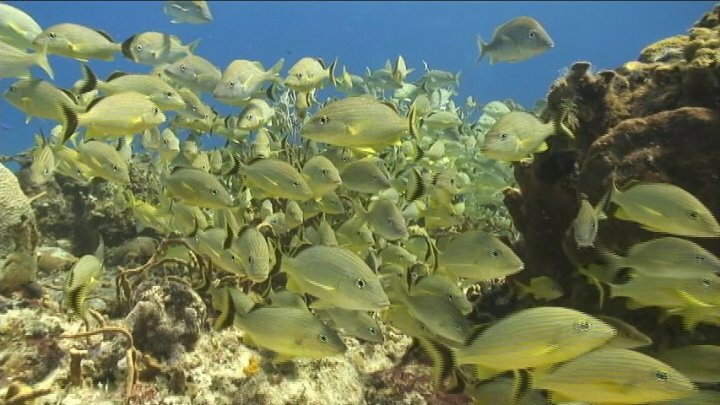 Most important of all is the fact that all of the reefs are now protected by Mexican Law and will be preserved forever . . . 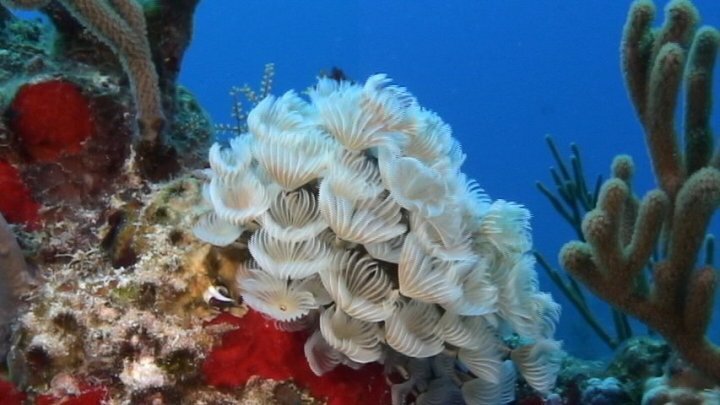 Divers are reminded that coral is protected in Cozumel and should not be collected. Spear gun fishing is prohibited as well. It's a beautiful world down there. Let's keep it that way. This is Miguel's story: I came to Cozumel 5 and half years ago, from Queretaro, Qro. I became interested in videography the very first time I went snorkeling here. 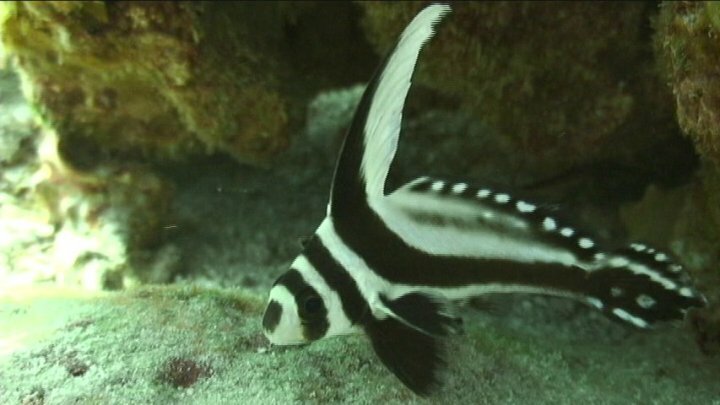 I was in Chankanaab and saw a spotted eagle ray and right then I knew I wanted to video it. 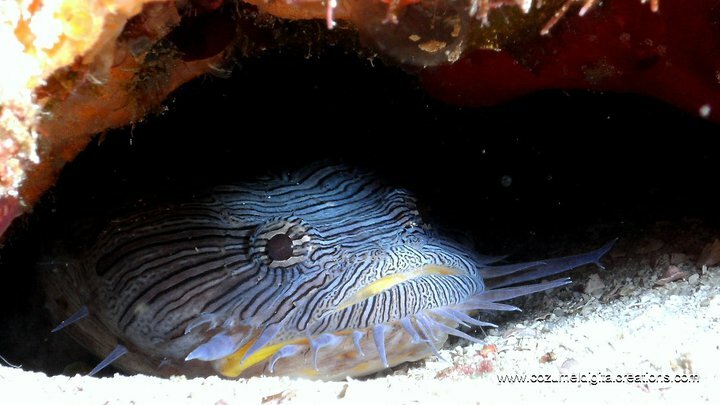 Photography just entered my life few months ago, when a friend gave me a still camera and I started picturing the underwater world. All my education has been here, all around this beautiful country. The most important thing I have learned was to be able to share with everyone and have friendship with everyone. I got certified as a diver as soon as I came to Cozumel. I knew that was what I wanted to do, and I knew I wanted to do underwater video too, thus my friend Dan Yearout(RIP) took care of my open water certification. For me, it is a great opportunity to do what I like the most, and at the same time, it provides me the means to live in this beautiful place. 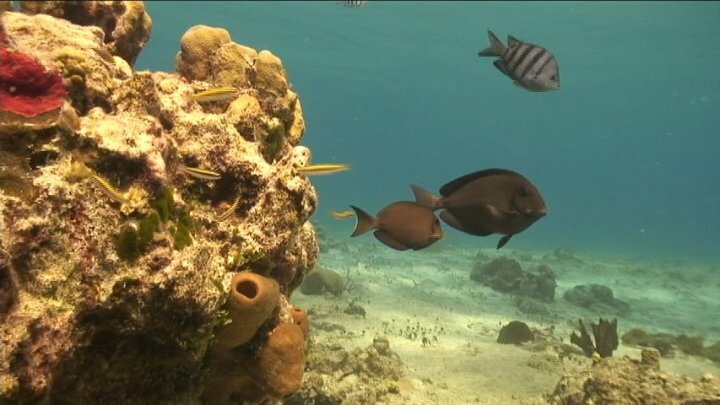 The diving association of Cozumel, in conjunction with government authorities, notify that by law it is forbidden to dive any closer to the reef than one meter. 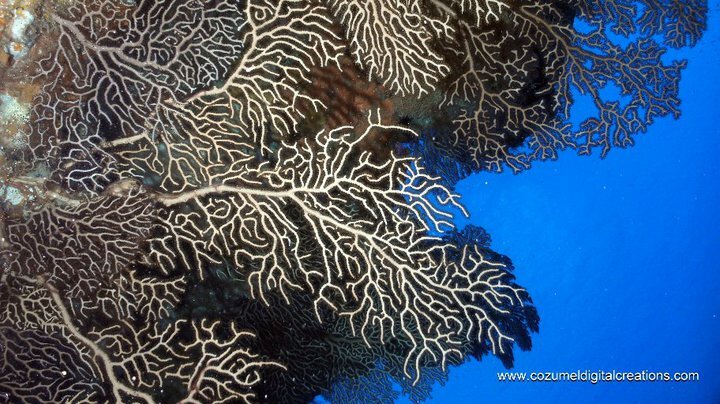 In order to prevent irreparable damage, do not break coral structures, kick or grab gorgonians, or drag gauges. Control your bouyancy! 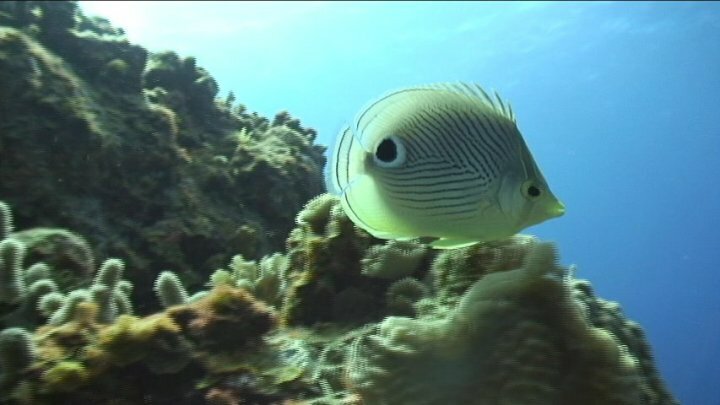 Please help the reefs survive our generation. Pass the word! 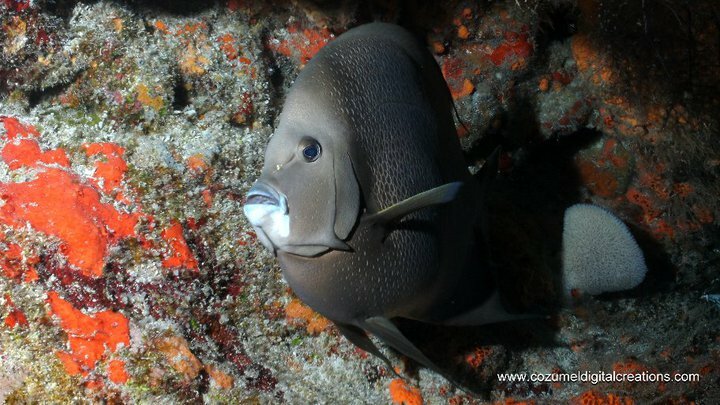 This is a popular spot for snorklers as well as night dives and second-tank shallow dives. 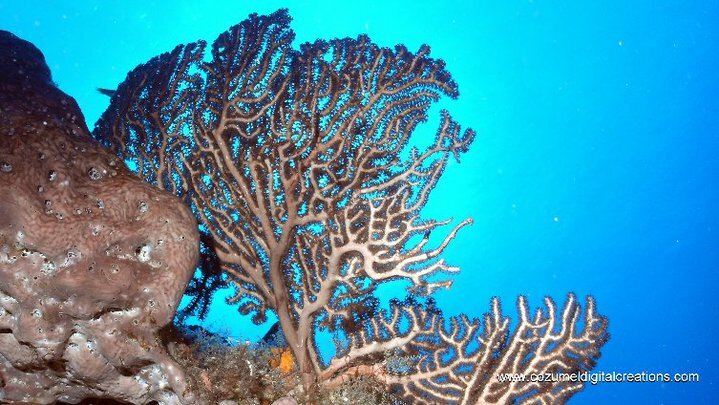 There are many shallow patch reefs, large brain coral, sea fans and sponges. 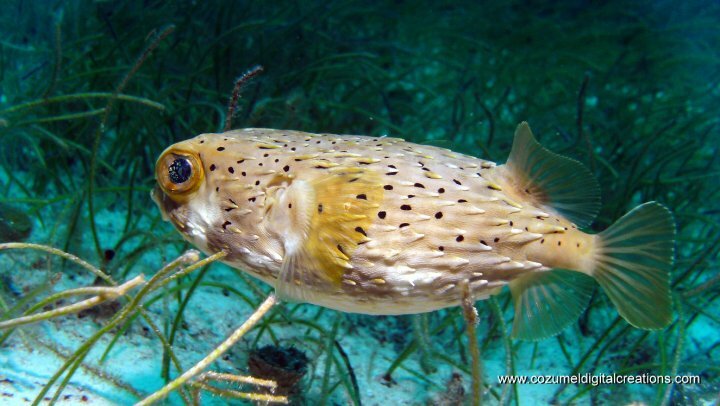 Also a good chance of finding Cozumel's Splendid Toadfish. 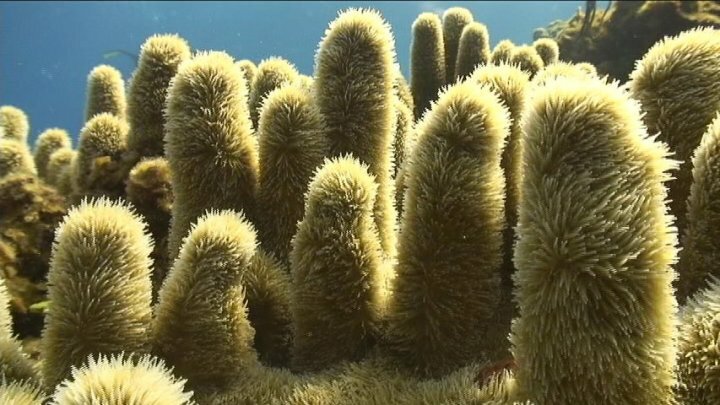 A series of ballon - shaped coral heads. 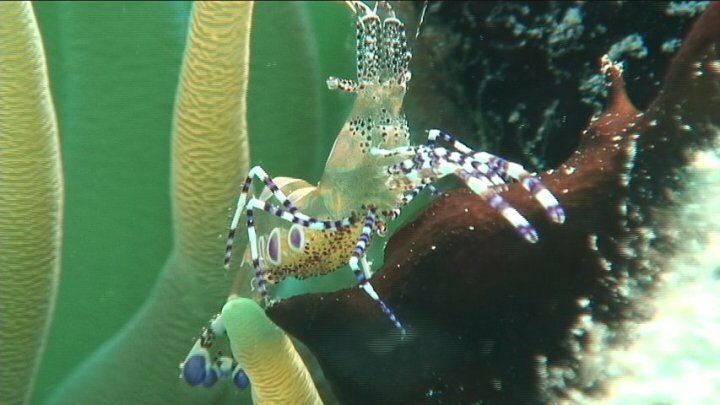 Colorful, abundant marine life, lobster and crab. This is an interesting dive at the south end of Chankanaab park. Excellent beach dive that can be reached either from Chankanaab park itself or by entering south of the park towards Corona beach where there is no park entrance fee.Cold fresh water flows out of limestone caves called cenotes. 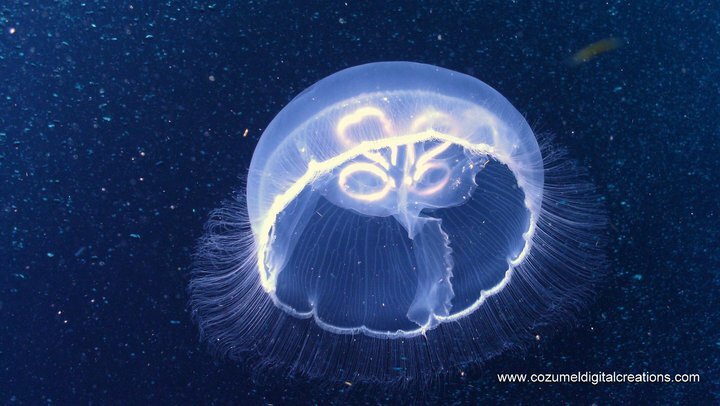 Large Tarpan can be found swimming around in the entrance to the caves. Stay in the ambient light and do not venture far back.Interesting mixing of cold fresh water on the top layer with the warm salt water below. Some of the fastest currents can be found here. 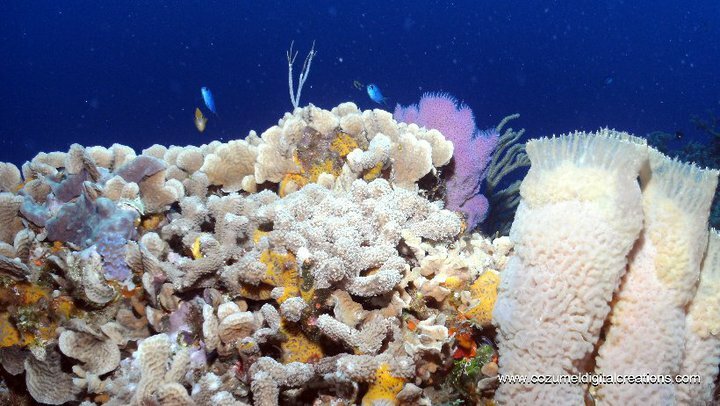 Many large coral pinnacles covered with brain and whip corals. 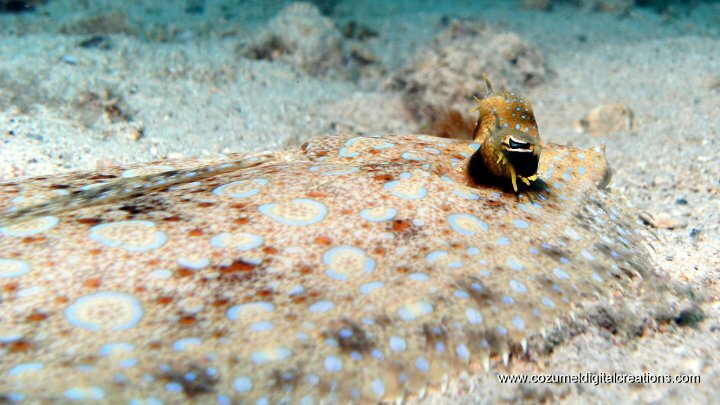 Eels, angelfish,groupers, grunts and snapper are common as well as smaller reef fish. Excellent 2nd dive. 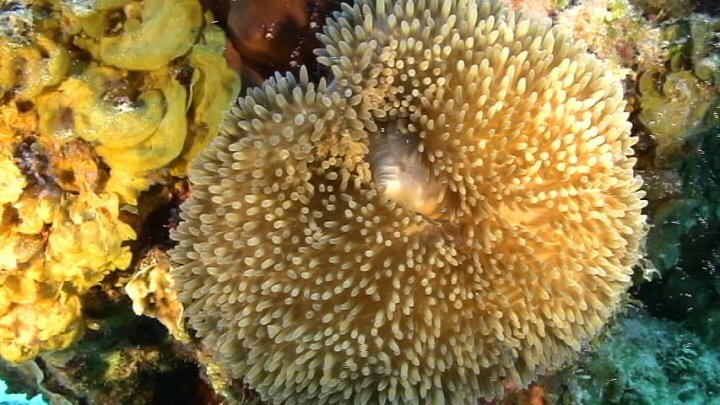 Dense reef full of color and marine life including lobster, eels and crab. Often swift current. 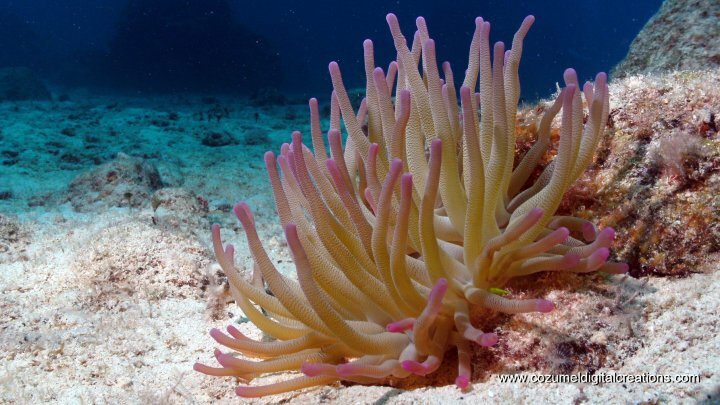 From a sand bottom at 70 feet, a long ridge of coral rises from the sand dunes between 40 to 60 feet. 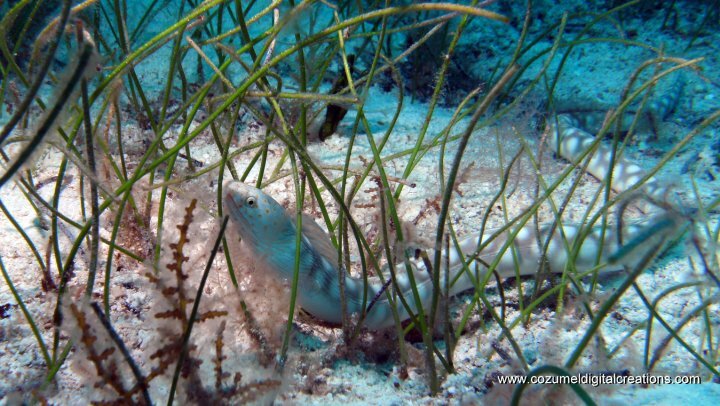 Big grouper and playful green moaray eels. One of the shallowest wall dives. Vey rich with marine life. Excellent 2nd dive. 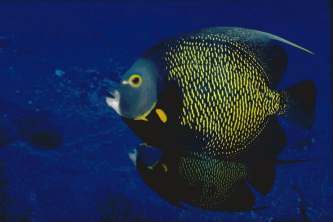 Many large schools of angelfish. Popular deep dive. Drift dive over huge coral heads that rise up from the deep blue. Impressive overhangs and colorful sponges. At the northern end are a series of swim through tunnels that the divemaster will lead you through. 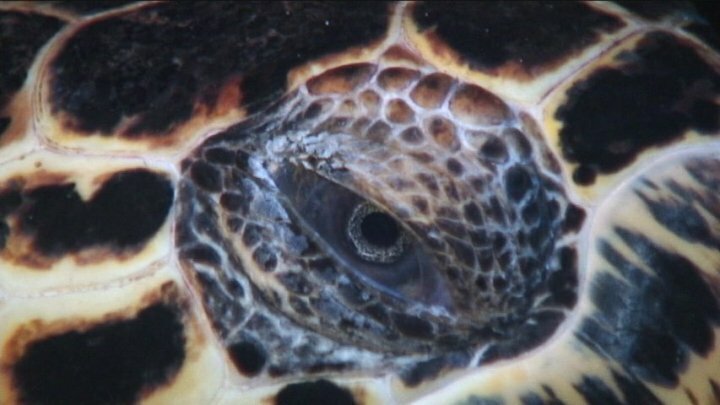 Keep your eye open towards the deep channel where you may spot eagle rays and turtles. Usually strong current present. Fairly flat but full of color and marine life. 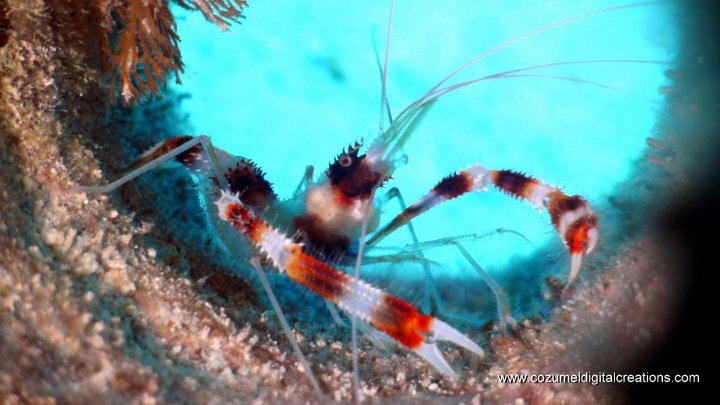 This is an interesting dive with many colorful canyons, deep ravines and crevices. 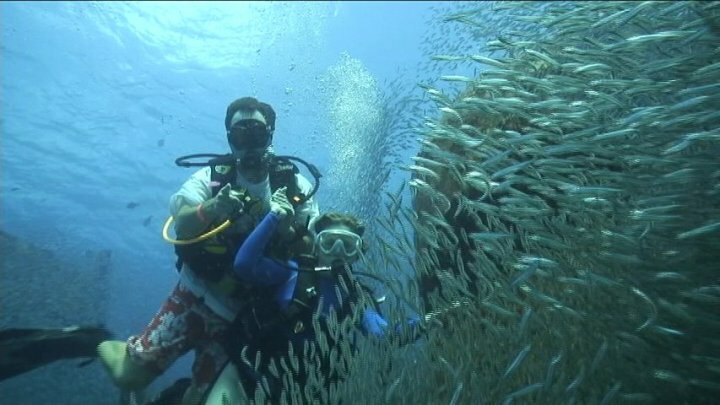 This is a great 2nd dive after diving Palancar Caves. 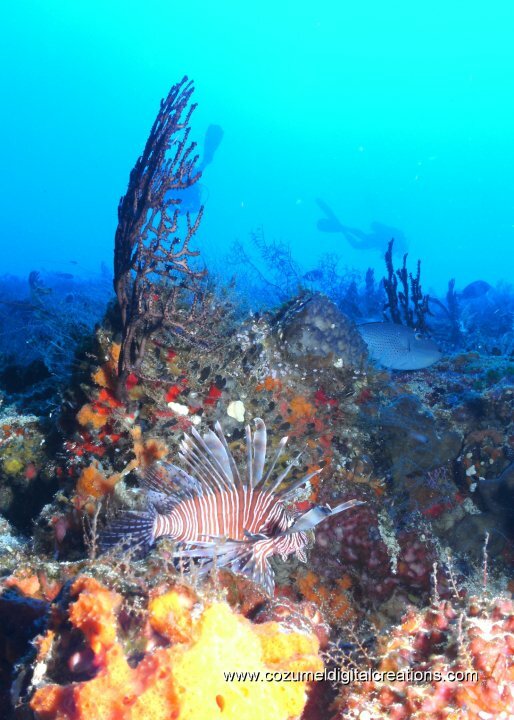 Beautiful dive with plenty of color and many nice caverns. One of my favorite dives. Not as many divers come here due to the distance. Huge coral pinnacles and a very impressive drop off. 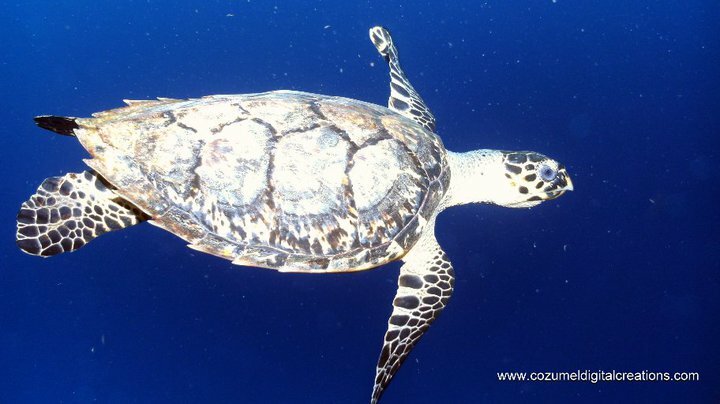 You can often see large marine life such as eagle rays, turtles and large baracuda. This is one of the best shallow dives on the island in my opinion. huge variety of marine life and many coral heads. Usually 2nd dive only for those divers who have just finished the first dive at either Columbia Wall or Punta Sur due to the location. This is diving for the experienced at it's best. Home to the famous "Devil's Throat" which starts at the opening of a dark narrow tunnel at 90 feet and takes you out into a sunlite opening at 130 feet on the wall. Eagle rays and sharks are occasionally spoted here. Other spots include the cathedral, which is a large cave opening with giant sponges that form a cross in the ceiling of the cave where light passes through. This is the southernmost reef on the island and is very exposed to current and topside surf. Wall starts at 90 feet and is covered with large orange elephant ear sponges, black coral and sheet coral. 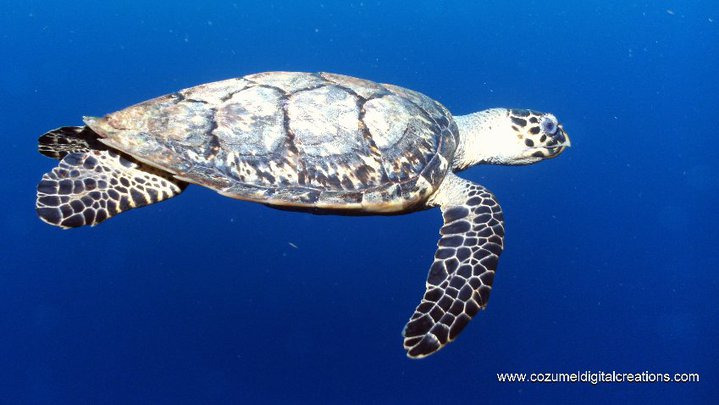 Sharks, rays and loggerhead turtles swim through the channel. Baracuda lies on the north side of the island. 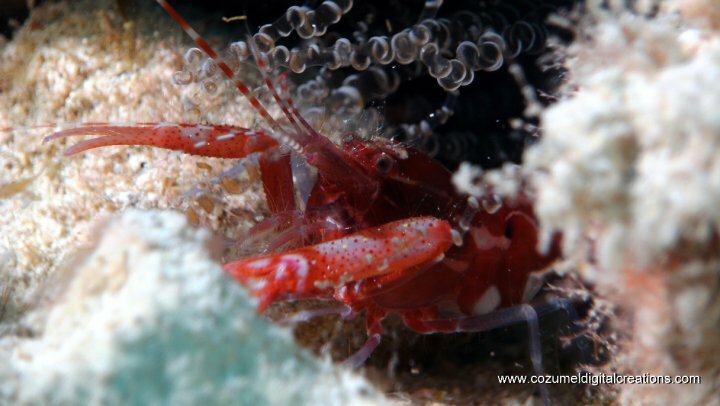 This dive site is rarely visited due to rough conditions, even in good weather. The current runs 2 to 3 knots and downcurrents are not uncommon. 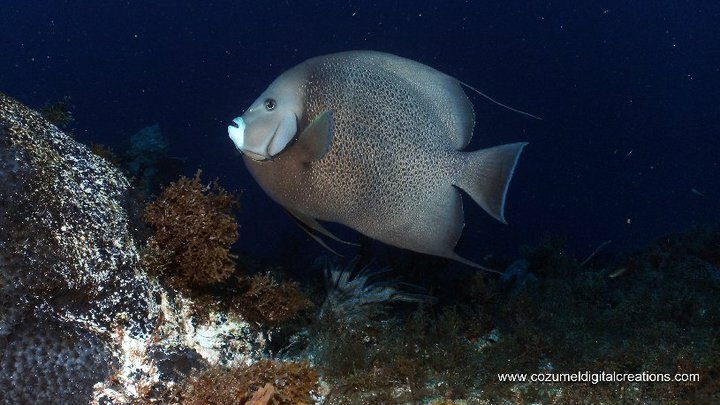 For the truly adventurous diver, it is a rewarding challenge though and you can often site large schools of fish, turtles, and even hammerhead sharks have been sighted here in the past. Adventure Discovery. Aldora Divers. Aqua Safari. Aquaworld. Atlantis Submarine. Blue Angel Divers. Blue Bubble Diver. Blue Note. Blue XT Sea Diving. Bottom Time Divers. 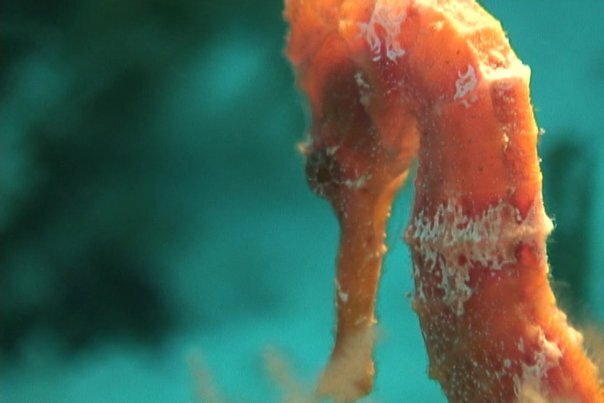 Caballito del Caribe. Caribbean Divers. Careyitos. Cozumel Equalizers. Cozumel Sports. Deep Blue Cozumel. 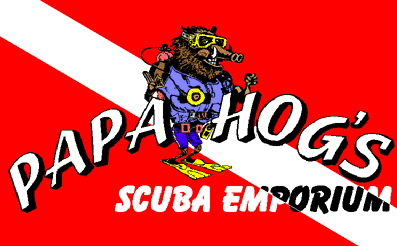 Deep Exposure Dive Center. Deportes Acuaticos. Del Mar Aquatics. Dimi Scuba Tours. Dive House. Dive Palancar. Dive Paradise. Dive with Martin. Diving Adventures. Dive House. Dressel Divers. Eagle Ray Divers. Emerald Dolphin Dive Service. Liquid Blue Divers. Manta Raya Divers. Mike Beasley's Undersea Adventures. Ocean Tours. Papa Hogs. Pepe Scuba. Sand Dollar Sports. Scuba Club Cozumel. Scuba Cozumel. Scuba Du. Scuba Tony. Scuba With Alison. Sea Urchin Dive. Techs-Mex Divers. To make a reservation/make contact with us: Send us an e-mail! ADVERTISING IS FREE until further notice. We invite you to send us your logo, text or content, or design your own page. We are happy to design your page to be displayed on www.Cozumelhomes.com. Include a direct link from our site to your own site. Everything is free for now, while we continue building the site.